Listen in to this double header as we talk with Daniel about his two books that have been published within months of each other. 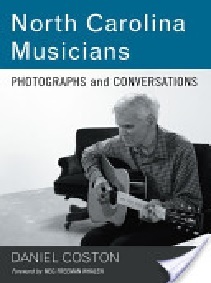 The foreword by Meg Freeman Whalen to Photographs and Conversations is appropriate for both of these books that are a boon to all those who have received so much enjoyment from our most excellent homegrown musical talent. 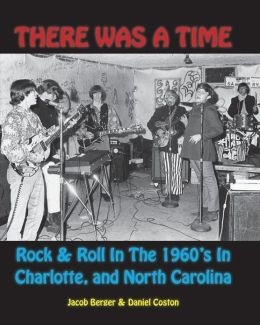 “A showcase of photographs and stories by Charlotte photographer Daniel Coston, (these books bring) together music makers of many genres and generations. Using seeing, rather than musical style, as the basis for its structure, the book(s) present a cross-section of Carolina musicians traveling the road, relaxing at home, recording in studios, and performing in festivals, theaters, and clubs In these pages, up-and-comers – Chatham County Line, the Avert Brothers, the Carolina Chocolate Drops – find space among their revered elders – Doc Watson, Earl Scruggs, Nappy Brown, Maurice Williams. Rock bands jam with shout bands, fiddlers with bluesmen. Southern Appalachian Celebration by James Valentine (broadcast 2-20-2012) Breathtaking photographs, taken over a period of 40 years, carry us through the Appalachians of the Carolinas, Virginias and neighboring states. More than just pretty pictures, the art embodied in these pages invite you to dream, to meditate and to stand in awe at the beauty they convey. Inviting you to Think Like a Mountain, like a Forest , a Wildflower and more this is a book to learn from as well as admire. In its introductions and brief descriptions we find out about one of the oldest rivers on earth, about Cherokee legends and about the importance of the most biologically diverse temperate forest in the world among other things. A treasure of a book, find out more at James Valentine.